I ran across the 2011 movie “In Time” over the weekend (vastly underrated at 36% on the Tomatometer), and I was hooked. Sure, Justin Timberlake and Amanda Seyfried gave fine performances, but the premise of living in a world where time has become the ultimate currency struck a chord. Perhaps it’s because we live in a marketplace filled with rapidly evolving technologies, demographic shifts, and economic uncertainty that alters our speed of life or perhaps it’s because our work with Circle K, the second largest convenience store company in the US, focusses on “selling time” to their customers, that made me find the premise so, well, timely. Thanks to scientific advances people stop aging at 25, but it comes with a catch. You’ve been genetically-engineered to live only one more year, unless you have the money to buy your way out of it. The rich live in spectacular luxury and “earn” decades of time for doing nothing, never age a day past 25 and essentially become immortal. Meanwhile the poor live in ghettos, are exploited and forced to live with a few hours or days “in the bank” and need to work, beg, borrow or steal just to stay alive. The film made me think about two prevailing schools of thought on the link between time and money. While both schools of thought show a direct correlation between time and money, is the link really this straightforward? Our answer: maybe in some instances, but not in all instances. While time and money are undeniably related, we believe they also operate independently in certain important ways. For one, not everyone has the opportunity, the job, the circumstances or the mindset to work this connection to their advantage. Therefor, our focus is on understanding the degree to which time and money are interrelated and how that relationship impacts consumer attitudes and behaviors. 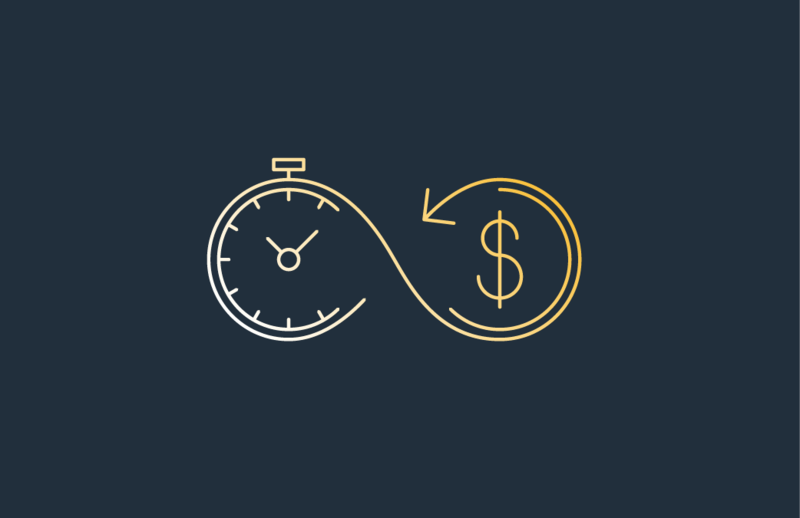 We have found that recognizing the relationship between time and money on an individual basis is a brand’s greatest opportunity to connect with consumers and add true value to their lives. We understand that it takes time to build a brand, to grow an audience, and to gain market share. However, our context of “time” is vastly different from other agencies. We see “time” as a critical connection point between a brand and a consumer and not merely a calendar of activities. Now, can money buy happiness?